It's back to school time, which automatically makes me want to set semester goals and pull out a clean notebook and reset my mind for a new chapter of learning (check out this post on the guaranteed way to achieve your goals). Now that I am a college graduate, however, I've realized that I am going to have to make my own version of a back to school refresh and wanted to share how we can reevaluate where we are dedicating our time and our goals. So how do we actually address this and make sure we are structuring our time in the best way to maximize growth and enjoyment? Here's what I am doing to reset for fall and some suggestions for how you can do the same. Each year since 2014 I have increased my reading goal by 5 books. The amount of awesome pages that I have read is a source of pride and development for me that I had every intention of continuing with, making 2017 the year I would read 45 books. 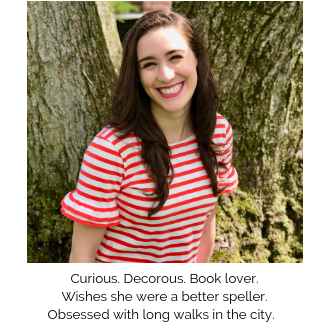 Goodreads is the site I use to track my goal (let's be friends!) and when I updated my status after reading a particularly long book, I realized that I was quite far behind on my goal and that it would no longer be reasonable to expect to complete it. At first I was disappointed and was trying to figure out what short books I could read to catch up. But then I realized that readjusting my course and lowering my reading goal was not the end of the world. In fact, it would take the pressure off and allow me to actually enjoy reading without such a strong competitive feeling associated with it. Moral of the story? I lowered my reading goal by 10 books. The goal is still a challenge, but achievable. This same principle applies for anything that you are working on. If you want to blog 3 times a week, but have to readjust to twice a week, that's ok. And if you want to visit a new place every weekend, but have to spend a day resting, that's ok too. As we pursue different goals we get a better sense of what will be best for us, and have to put aside our pride to make choices that align. Don't be ashamed to readjust. For me some goals, like reading, are a constant and will always make an appearance on any list that I write for myself. However, there are some goals that you think will be a good idea, but don't end up serving the purpose you thought. Whether that's an exercise regime that you didn't jive with, or a project that didn't end up fulfilling you like you thought it would, reassessing your goals and eliminating those that don't quite fit anymore will free you to focus on what is actually going to make an impact on your life. Now that you have readjusted where appropriate and reassessed what you're working on, it's time to recommit. We can get bored by goals we were originally jazzed about and end up allowing ourselves to slack off. When this happens, it's time to recommit! It's time to get excited about those goals and remind yourself why you set them in the first place. Write in my journal daily: This allows me to organize my thoughts, be more mindful of how I respond in certain situation, and gives me a dedicated time to reflect on how I can address challenges moving forward. Read 45 35 books: Reading makes me feel energized, accomplished, allows me to think, provides an escape, and develops my mind. Once you can directly see the benefits of your goals it makes it much easier to recommit and be excited to engage in the activities to get you there. The type of aims I discussed here are mostly short term and tactical, rather than long term ones like "be CEO of a Fortune 500 company." These are daily activities, not future developments, so the methods I've gone over are not quite as applicable. If you want me to do a post on long term goals, I'd be happy to write one! Just let me know in the comments. 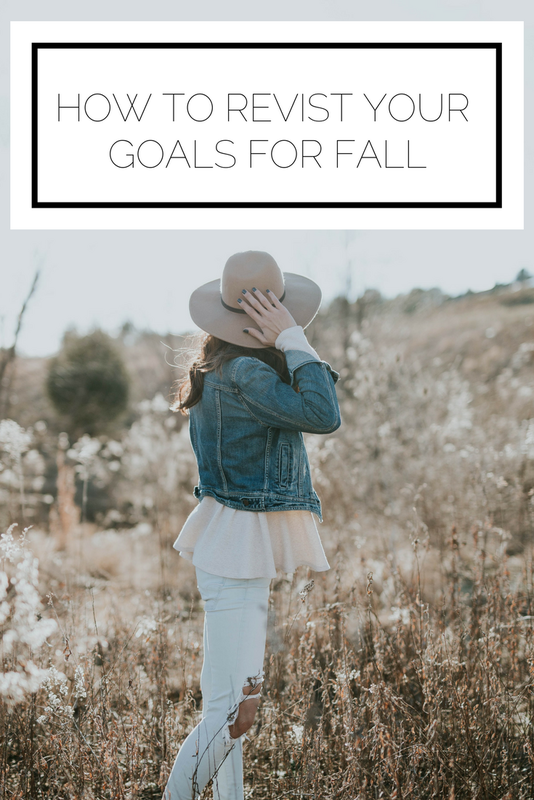 How do you revisit your goals in the fall? What do you do to keep yourself on track?